I think there are certain meals that will always take you back to a place in time in your life. 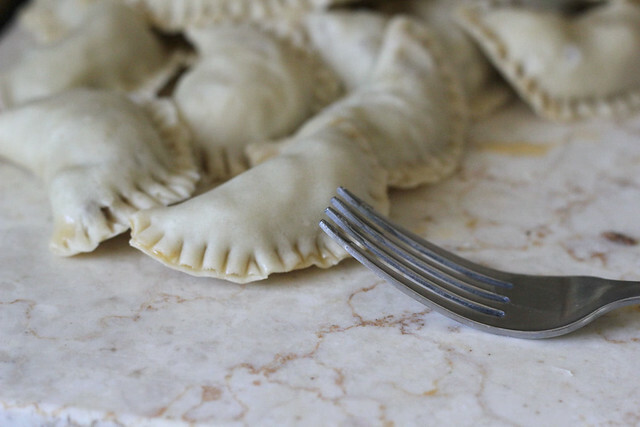 These transport me to my childhood kitchen where I would watch my grandmother making them at the kitchen table, rolling the dough out, cutting it, adding the filling, using the fork to seal them and then popping them into a skillet of hot oil and watching them sizzling. It brings back so many good memories. 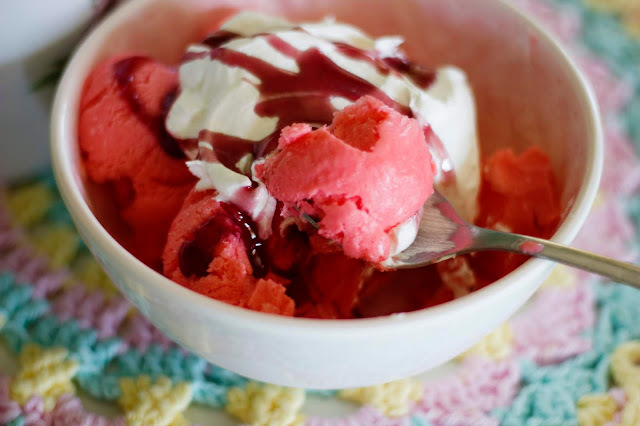 It was one of her favorite things to make, and it was one of my favorite things to eat. As I sit here in my new house after moving across country, leaving the military life behind and beginning a new chapter, I was feeling quite nostalgic and homesick. I wanted something for dinner that would comfort my soul and my tummy, and these immediately came to mind. My kids love them, my husband loves them so much that he starts eating them as I pull them out of the skillet....and even the pugs enjoy one as a treat. The recipe I use is the one I got from my grandmother, so I make it the way she used to, and therefore, all the ingredients are in grams...but I'll give you the equivalents too. Sift the flour into a bowl, add the salt and the melted butter, the olive oil and the lukewarm water. Beat the mixture rapidly and well. Dump the dough onto a floured bowl, then cover the bowl with a warm bowl (just take a bowl bigger than the one you're using for the dough, run it under boiling water, quickly wipe down and place it over the dough as quickly as possible). Let the dough rest for an hour and a half. 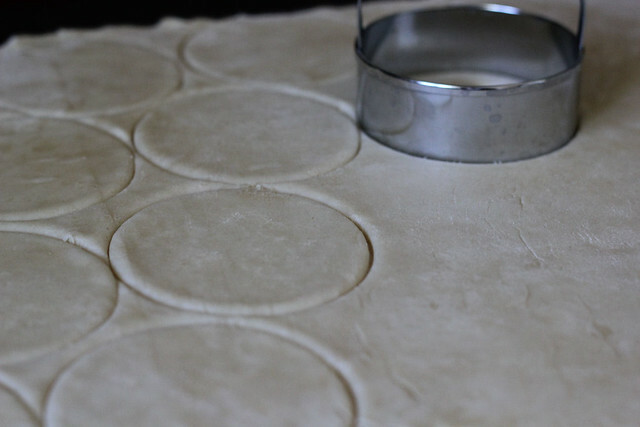 Roll out the dough on a floured surface, cut with a biscuit cutter or a glass into circles. Add the meat filling (little more than a teaspoon), fold the dough over and seal the edges using a fork. 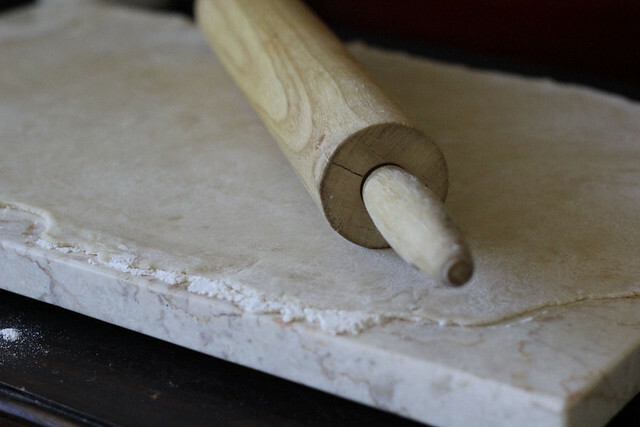 Place the pastries on a floured surface. Fry in hot oil until golden brown and then transfer onto paper towels to absorb oil. Serve immediately. 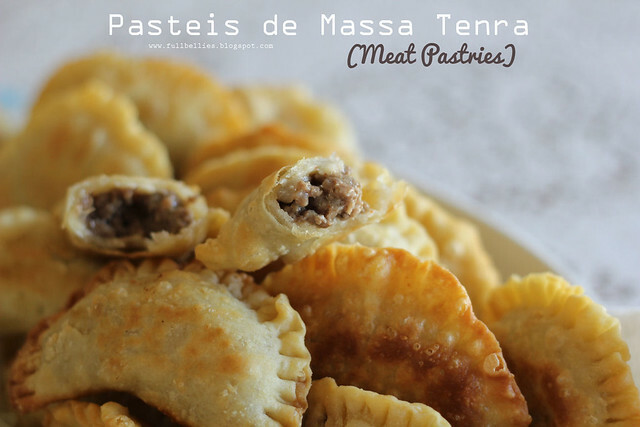 For the meat filling, I make a very basic one. In a skillet, add the butter, the onion and the garlic. Cook over medium heat until onion is transparent, don't let the garlic burn. Add the ground beef and continue cooking until browned. Season with salt and pepper, bay leaf, paprika and a dash of nutmeg. Stir well and simmer for a minute or two. For the white sauce, I just make a simple bechamel, this recipe makes about a cup. Melt the butter in a saucepan. Stir in the flour and cook, stirring constantly, don't let it brown — about 2 minutes. Add the milk, continuing to stir as the sauce thickens. Bring it to a boil. Add salt and pepper to taste, usually I add nutmeg, but since I've already added some in the meat filling I'm omitting it from here. Cook for a minute more, then remove from heat. So glad you are getting settled into your new home and new chapter in life. 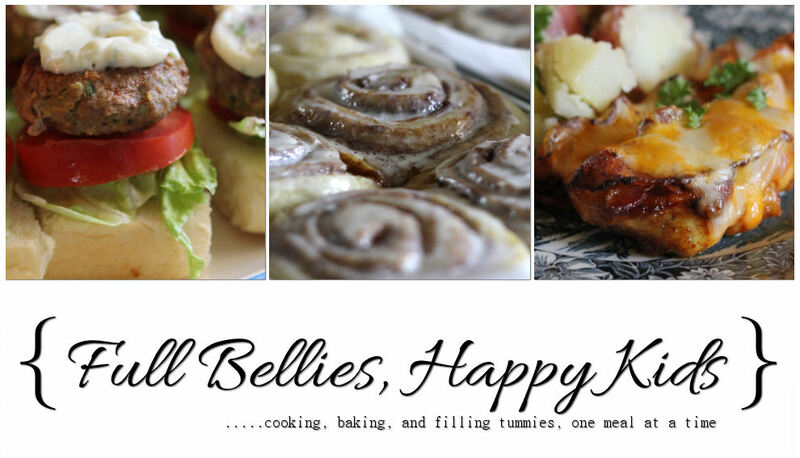 Glad to see you back in the kitchen & sharing all your famously wonderful recipes with us. 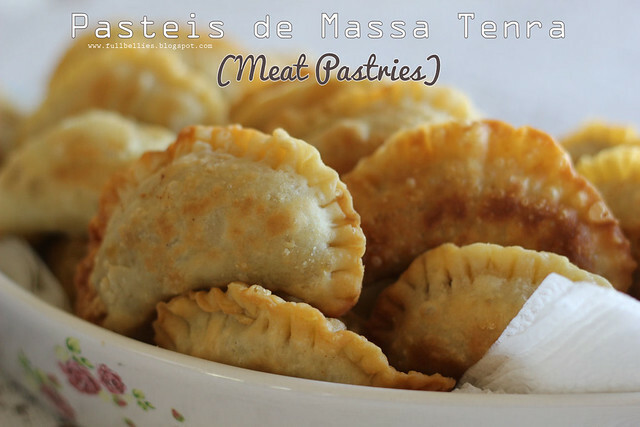 Hi, I love this recipe as I am always on the lookout for portuguese recipes that I like. My husband's family is portuguese (azorean) and there are a lot of things they eat that are so mixed up with American junk food that I can't separate the Azorean from the American! I asked my mother-in-law about these, and she says they must be Continental, as they don't make these - but maybe their family just didn't and they are common. Do you know if this is pretty common? I see lots of recipes online for variations of this.